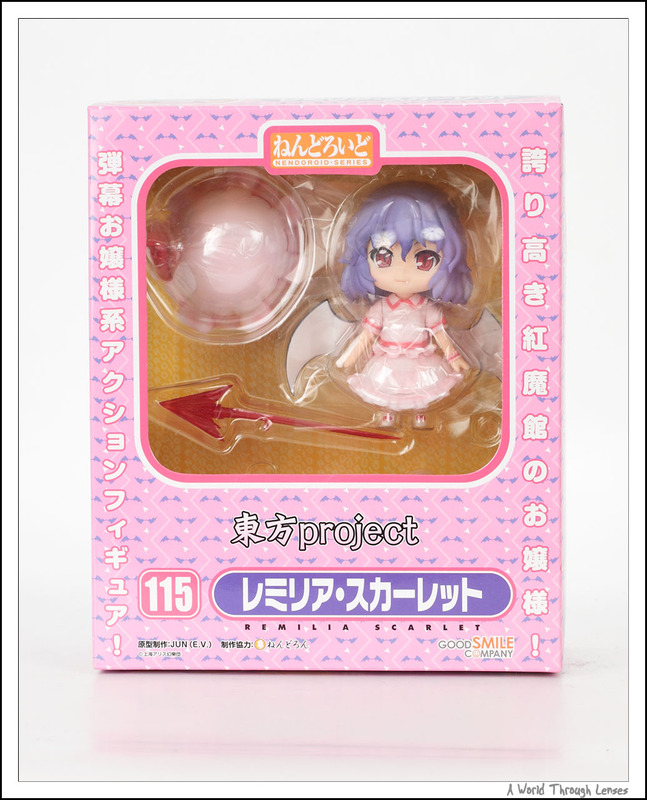 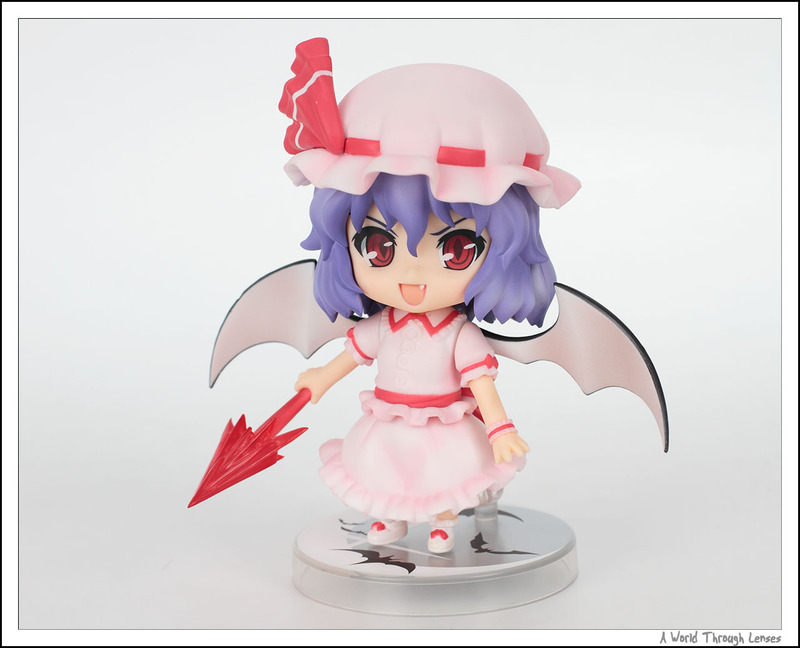 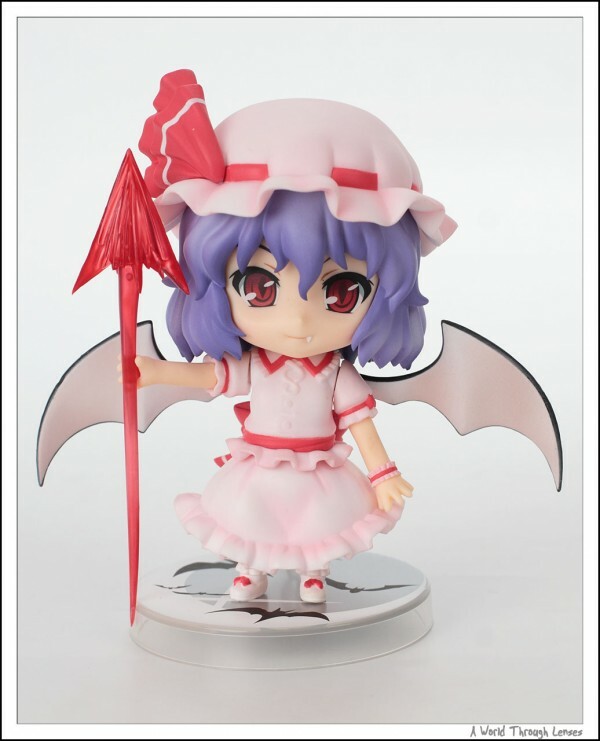 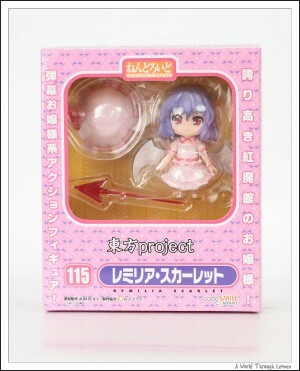 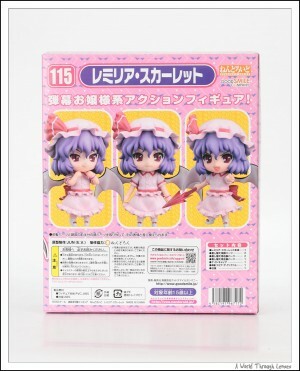 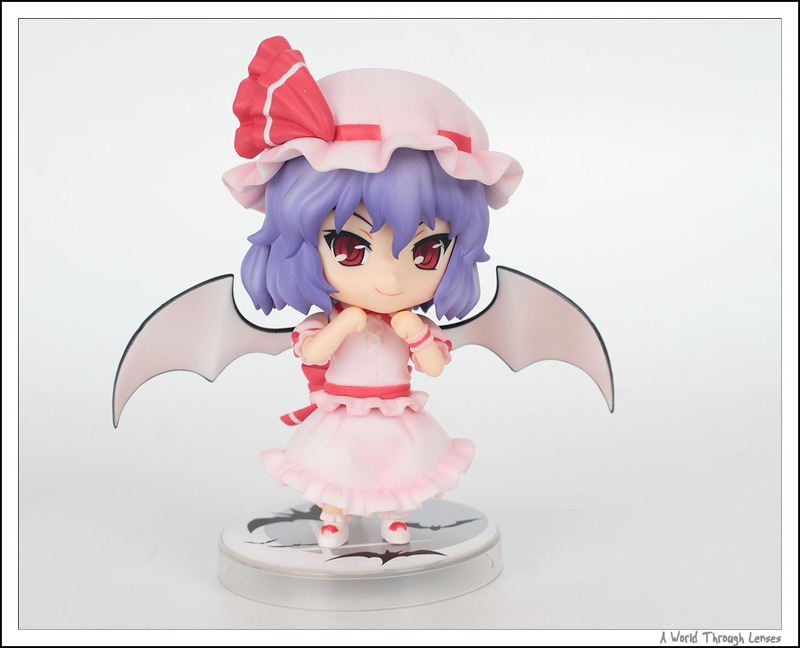 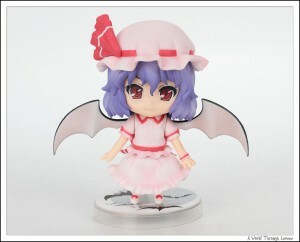 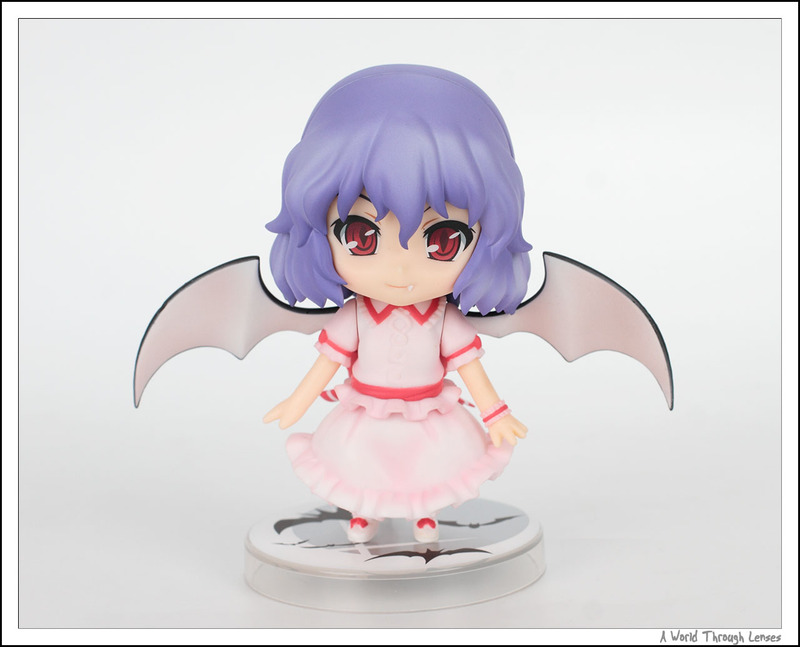 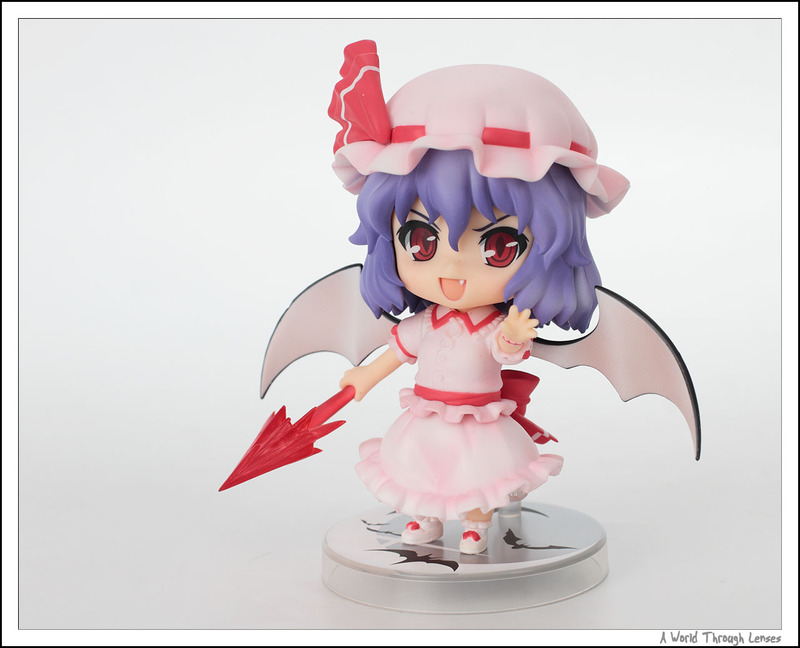 Here’s what Remilia looks like out of the box. Yes she is a vampire. 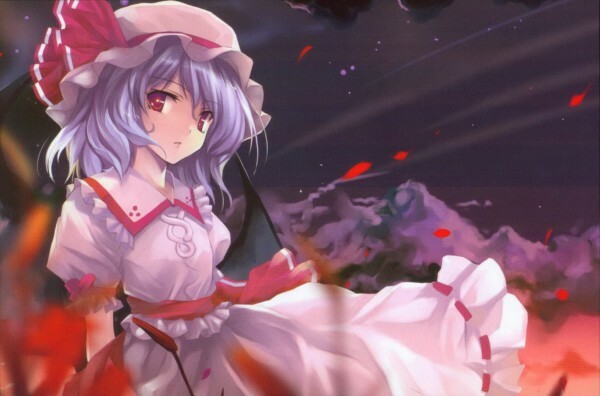 But unlike other vampires, her wings is visible even if she’s in human form. She also came with a cap that can be put on or removed. 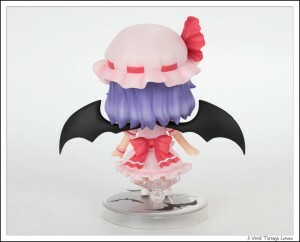 So here’s what she looks like with the cap on, back and front. Here’s Remilia in a more series mode, holding her spear – Gungnir. 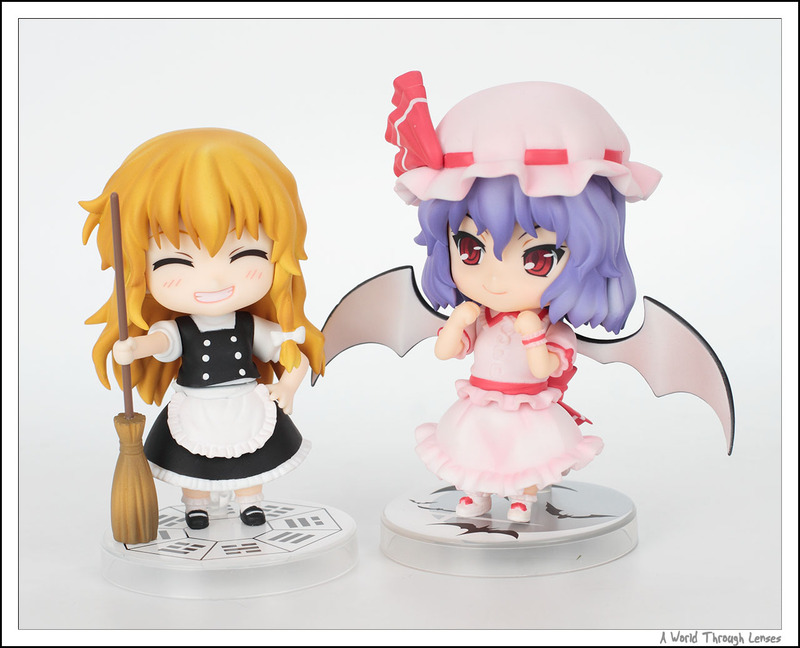 Remilia and Maris together having some fun. Here’s a 2D illustration of Remilia Scarlet.